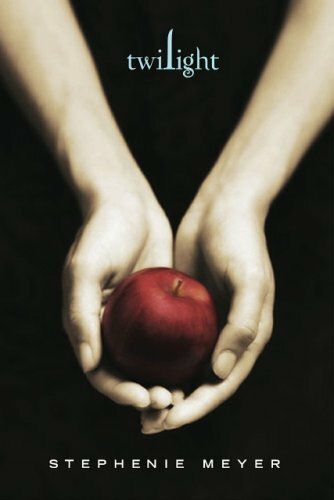 TWILIGHT is an action, modern-day love story between a teen girl and a vampire. Bella Swan (Kristen Stewart) has always been a bit different, never fitting in with the girls at her school. When Bella is sent to live with her father in the rainy little town of Forks, Washington, she doesn’t expect much to change. Then she meets the mysterious and dazzlingly beautiful Edward Cullen (Robert Pattinson), a boy unlike any she’s ever met. Edward is a vampire, but he doesn’t have fangs and his family is unique in that they choose not to drink human blood. Edward has been waiting 90 years for a soul mate, which he finds in Bella. They are soon swept up in a passionate and unorthodox romance. Edward must struggle to resist the primal pull of her scent, which could send him into an uncontrollable frenzy. But what will they do when a clan of new vampires – James (Cam Gigandet), Laurent (Edi Gathegi) and Victoria (Rachelle Lefevre) – come to town and threaten to disrupt their way of life? Bella: You’re impossibly fast and __________. Bella: You’ve gotta give me some __________. Edward: I’d rather hear your theories. Bella: I have considered radioactive __________ and kryptonite. Edward: That’s all superhero stuff, right? Edward: What if I’m not the__________? What if I’m the __________ __________? Bella: I know what you are. Your skin is pale white and ice-cool. You don’t go out into the sunlight. Edward: Say it out loud, say it! Bella: No! This isn’t__________. This kind of stuff just doesn’t exist. Edward: It does in my_____________. Edward: I just want to try one thing. Edward: You don’t know how long I’ve __________for you. Bella: What is going on? Police officer: Security guard at the mill got killed by some kind of __________. Edward: My family, we are __________from others of our kind. Vampire: You brought a snack. Bella: Wait, now he is coming after me? Edward: The hunt is his__________. He’s never gonna stop. Bella: I’d rather __________than stay away from you. Vampire: He’s got unparalleled senses, absolutely lethal. Edward: I’ll do whatever it takes to make you safe again. Edward: I’m strong enough to __________ you. Bella: You’re impossibly fast and strong. Bella: You’ve gotta give me some answers. Bella: I have considered radioactive spiders and kryptonite. Edward: What if I’m not the hero? What if I’m the bad guy? Bella: No! This isn’t real. This kind of stuff just doesn’t exist. Edward: It does in my world. Edward: You don’t know how long I’ve waited for you. Police officer: Security guard at the mill got killed by some kind of animal. Edward: My family, we are different from others of our kind. Bella:Wait, now he is coming after me? Edward: The hunt is his obsession. He’s never gonna stop. Bella: I’d rather die than stay away from you. Vampire: You’re faster than the others. But not stronger. Edward: I’m strong enough to kill you.